If you are busy, we will come to you! 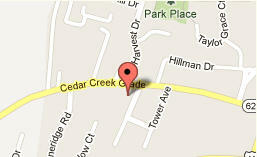 We are located at 801 Cedar Creek Grade in the old Economy Carpet Building. From: Route 37, Take Opequeon Exit toward Winchester, we are on the Right From: Valley Avenue: Take Cedar Creek Grade (by CVS). We are on the Left.